Readers anxiously await the second book in this moving series filled with mystery and family secrets, love and loss, heartbreak and healing. Twenty-one-year=old Grace Byler longs to find her missing mother and to uncover the secret that drove her to leave them three weeks before. Grace suspects the reason has to do with her father and his reserved, uncommunicative ways. This conviction led Grace to break off her betrothal to her quiet, staid beau, and she is now resigned to remain single. But when the young Amishman she thought was courting her best friend takes a sudden interest in her, Grace is befuddled and wonders if he can be trusted. "Englisher" Heather Lang has come to Amish country to relive fond memories of her mother and to contemplate a grave medical prognosis of her own. While in Bird-in-Hand, Heather meets Grace Byler and the two young women strike up a fast friendship, amazed by how well they click. Following the only clue they have, Grace and Heather travel together in hopes of finding Grace's mother and bringing her home. Will they find what they're looking for...or something much more? 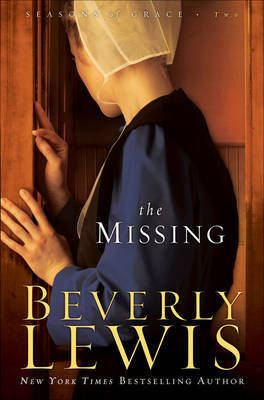 Beverly Lewis, raised in Pennsylvania Amish country and both a schoolteacher and an accomplished musician, has been an award-winning novelist for over a dozen years. Her book s have appeared on numerous bestseller lists, including USA Today and the New York Times. She and her husband, David, live in Colorado Springs, Colorado.